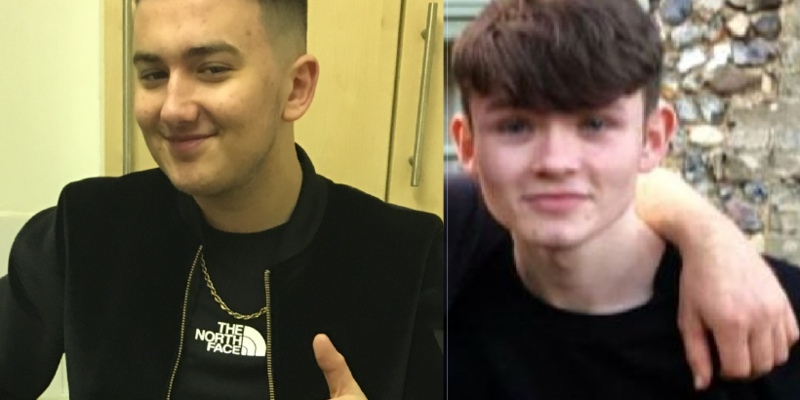 The families of the two 18 year old men who died in a road traffic collision on the A14 at Rougham have paid tribute to them. William Smedley, aged 18, of Bury St Edmunds, died in the collision in Rougham between a black Vauxhall Corsa and a grey Ford Fiesta at 9.30pm on Tuesday 26 December. 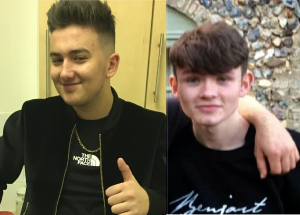 Jake Paxton, aged 18, of Bury St Edmunds, who died as a result of his injuries at Addenbrooke’s Hospital on Wednesday 27 December after a road traffic collision in Rougham between a black Vauxhall Corsa and a grey Ford Fiesta which occurred at 9.30pm on Tuesday 26 December. A man who sadly died following a road traffic collision in Rougham yesterday evening is being named by police. Officers were called to the scene of a collision involving a black Vauxhall Corsa and a grey Ford Fiesta at 9.30pm on Tuesday 26 December on the A14 eastbound, just east of junction 45. William Smedley, aged 18, of Bury St Edmunds, was a passenger in the Ford Fiesta and sadly died at the scene. A second man who died following a road traffic collision in Rougham on Tuesday 26 December is being named by police. Officers were called to the scene of a collision involving a black Vauxhall Corsa and a grey Ford Fiesta at 9.30pm on the A14 eastbound, just east of junction 45. Jake Paxton, aged 18, of Bury St Edmunds, who was taken to Addenbrooke’s Hospital and was a passenger in the Ford Fiesta, died as a result of his injuries. The first man, William Smedley, aged 18, of Bury St Edmunds, also a passenger in the Ford Fiesta, sadly died at the scene. A third male – the driver – was taken to hospital for treatment but his injuries are not thought to be life-threatening. The female driver of the Vauxhall Corsa, a 19 year old woman was uninjured. Police would like to hear from anyone who may have witnessed the collision. Anyone with any information should call the Serious Collision Investigation Team on 101 quoting CAD number 332 of 26 December.